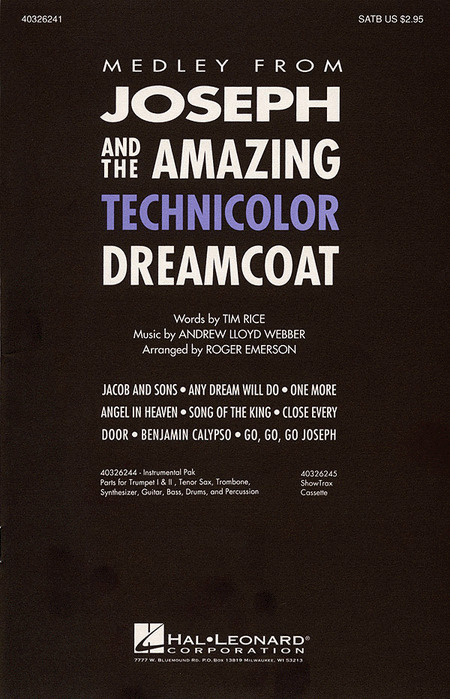 17 songs from Andrew Lloyd Webber's first smash hit, including: Any Dream Will Do - Close Every Door - Jacob and Sons/Joseph's Coat - Joseph's Dreams - One More Angel in Heaven - Potiphar - Those Canaan Days - and more. 10 vocal selections from one of Lloyd Webber's 1st blockbusters. Includes: Any Dream Will Do - Close Every Door - Go Go Go Joseph - Jacob and Sons - Joseph's Coat - One More Angel in Heaven - Those Canaan Days - and more. 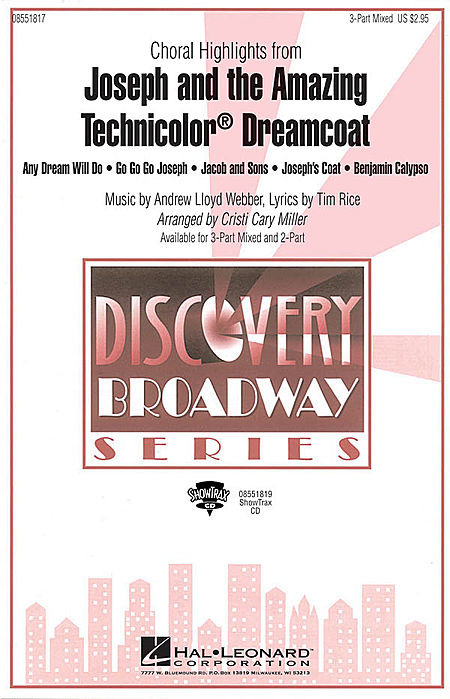 Novello Voices Show Singles series - from Joseph and the Amazing Technicolor Dreamcoat. Arranged by Barrie Carson Turner, this is a fabulous SATB arrangement of the popular modern song.